As Huawei continues its big push this year into the US, they want you to realize that they are about more than just smartphones. While their smartphones are certainly grabbing our attention (Huawei P8 for example), as are the rumors of them possibly creating a Nexus phone, their line-up of accessories shouldn’t be ignored either. And I’m not just talking about the Android Wear-powered Huawei Watch that stole headlines at MWC. Huawei also has a smart wearable/Bluetooth earpiece called the TalkBand B2 that is worth a look. Before we get into why it’s worth a look, we should probably mention that we are giving five (5) of them away. Oh, it’s also not available yet for purchase, so should you win one, you will be one of the first in the world. Cool, right? OK, so the TalkBand B2 is Huawei’s smart wearable that doubles as a Bluetooth earpiece. It sits on your wrist for the most part with its waterproof self, making sure you hit fitness and sleep goals, are seeing notifications as they arrive through its touch screen, and acting as a timepiece with either TPU or leather strap options. But should you want to take a call, you can detach the TalkBand B2 from the wrist strap and toss it on ear for a hands-free call. See, it’s a hybrid of sorts, which is why we don’t know exactly how to describe it as an individual product. It’s a pretty cool concept. 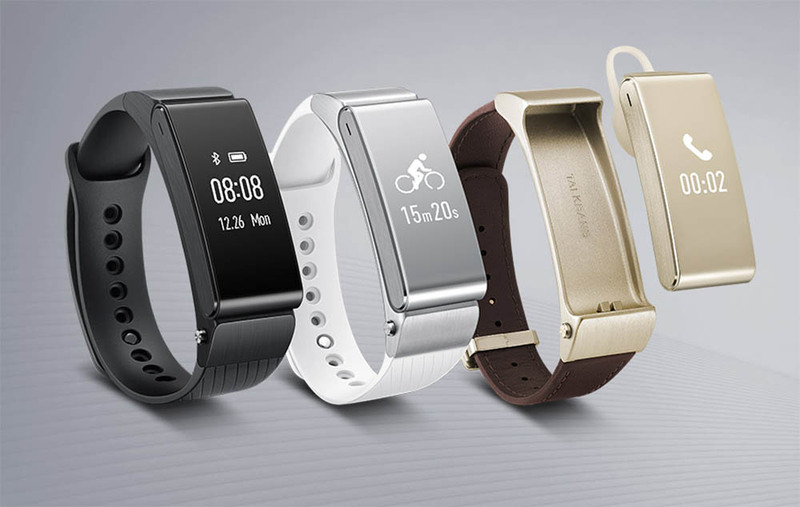 Prizes: Five (5) Huawei TalkBand B2 devices for five (5) winners. You also have another chance to enter by visiting the Huawei Community. Our five (5) winners will be chosen Wednesday, April 29, at 12PM Pacific.